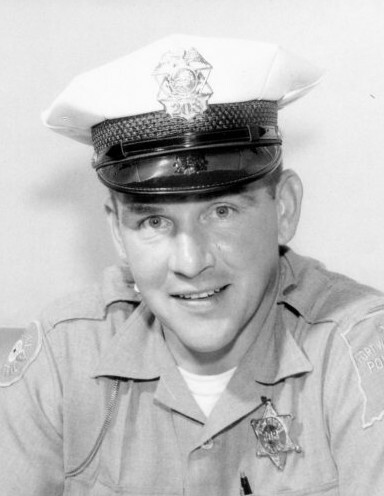 Auburn – Marshal “Dean” Heingartner, 84 of Auburn died Tuesday April 9, 2019 at his home with his family at his side. He was born August 4, 1934 in Fort Wayne to George and Geraldine Heingartner. He was a Police officer for the City of Fort Wayne retiring on July 17, 1978 He was an active member of Ascension Lutheran Church in Fort Wayne. Dean married Hannelore Kraus on August 28, 1972 in Bryan, OH and she survives. Also surviving are 4 sons, Keith M and Brenda Heingartner of Jacksonville, TX, Kirt M Heingartner of Jacksonville, TX, Kenneth D and Peggy Heingartner of Fort Wayne and Michael D Badger of Auburn; 3 daughters, Kelly and Bobby Asher of Fort Wayne, Debbie Riley of Fort Wayne and Hanna Michelle and Tony Everidge of Hudson; 2 brothers, Daniel and Jane Heingartner of Wolcottville and Donald and Loretta Heingartner of Albion;2 sisters, Patricia Lytal of California and Donna and Eugene Springer of Ashley; 12 grandchildren. Graveside services will be 1 PM Monday April 15, 2019 at Lindenwood Cemetery in Fort Wayne. Calling is Sunday from 2 to 5 PM at Feller and Clark Funeral Home, 1860 Center Street, Auburn. Preferred memorials are to Riley’s Children’s Hospital or Alzheimer’s Association. To send condolences visit www.fellerandclark.com.